LS1 V8 fuel injected with FITech Ultimate LS ECU tuning. TH350 Automatic transmission. 10 bolt rear end. Painted Ermine White (code 936). Pro Car Red adjustable bucket seats. Front disc brakes. Heidts Mustanng II IFS (Independent Front Suspension). Heidts inner fender panels. Aluminum radiator with electric fan. Aftermarket Coldmaster A/C. Chrome tilt column. Shark gauge cluster. Center console. RS1 Tuning brake / gas pedal. Front power windows. Aftermarket Racing Power Company wiring harness. Custom Autosound AM/FM radio with kick panel speakers. 14\" Factory style SS wheels. 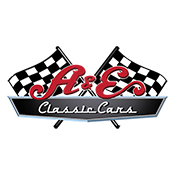 A & E Classics brings you a collection of various vehicles, classics, muscle, collectible, exotic, street rods, trucks, and more � all of a unique nature, but never the mundane. A & E Classic Cars is located in beautiful New Braunfels, Texas (we are only 25 minutes from the San Antonio Airport or the Alamo). Visit us and find your dream car. After a visit to our spectacular showroom, take the family to Schlitterbahn Water Park to celebrate the purchase of your new dream car, or maybe just cruise around beautiful Landa Park. We hope that you find as much pleasure visiting our showroom as we do bringing its services to you. Come visit us Monday through Saturday 9am � 6pm, we would love to �talk cars� and show off our beautiful collection of classics.